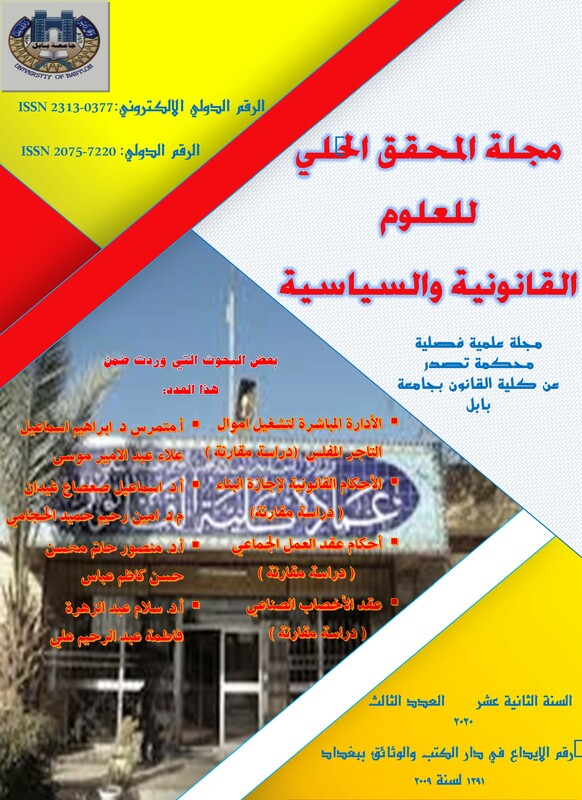 AL- Mouhakiq Al-Hilly Journal for legal and political science is a magazine issued by the Faculty of law at the University of Babylon. It publishes research and academic articles in the fields of science, legal and political.The aim of the distribution of the magazine locally and over the internet is to spread the culture of the legal and political sciences through the enrichment of scientific research specialists in the areas of law and its branches and Political Science. - year of establishment 2009. - of copies for each edition 30 copy.